Jeff Kraus began screen-printing clothing as a student at WWU in 1994, later founding his company Naked Clothing in 1999. He grew his printing business by traveling the Washington coast selling his clothes at festivals all over the PNW region. Doing so, Jeff cultivated relationships with several local businesses and launched a custom screen-printing service on the side. 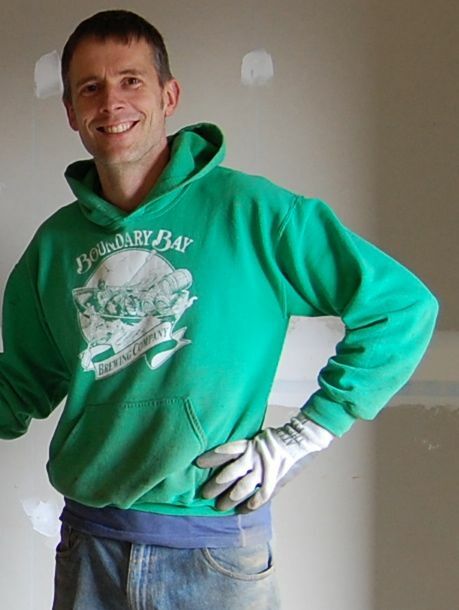 Boundary Bay met Jeff in 1997 and began what would define a 15 year partnership with Boundary. In 1999, the Boundary Save the Ales Hoody was born “and has been a fashion force of nature in Bellinhgam and beyond ever since” states Kraus. This classic design, offered in a variety of Tee’s, long sleeves, and sweatshirts are all custom printed by Jeff. 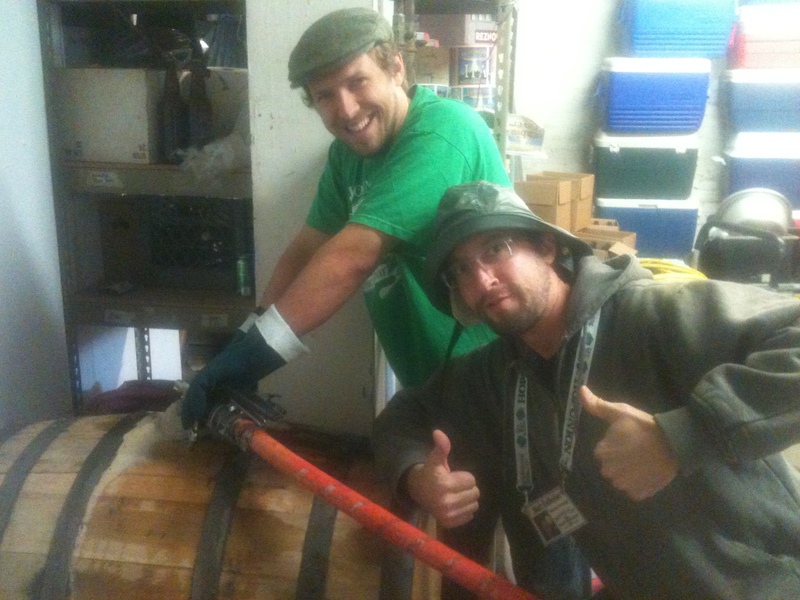 He also prints our specialty beer shirts, like the Munzinger & Kegs and Couplers Tee’s. As Kraus explains, he idealized a local community, “where small businesses, artists and musicians are abundantly supported — sometimes with the owner even hand-delivering your shirt!” This is exactly what Jeff has done for Boundary for the past 15 years and counting. 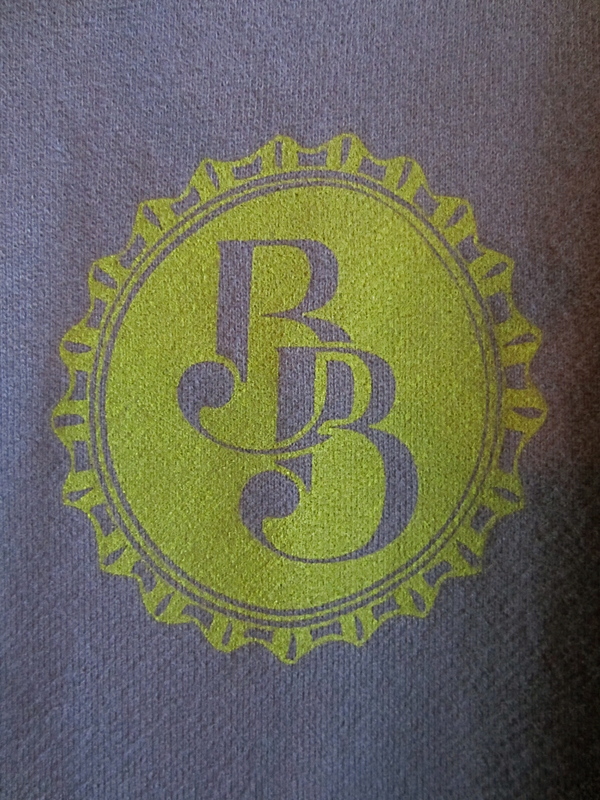 In the fall of 2012, Boundary partnered up with an up and coming screen-printing company, Hwy9 designs, who began printing our newest merchandise. 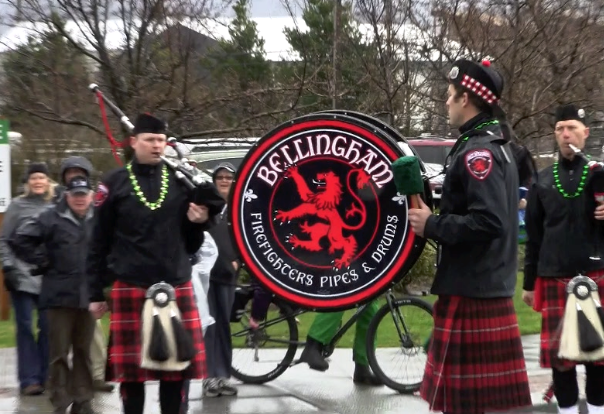 Hwy9 Designs is under the same ownership as the Bellingham VZ foundation, an organization whose mission is to put on fun, local events to bring together the Whatcom County Community. The VZ Foundation is all about supporting effective local organizations, to sustain our community’s economy – a standard Boundary Bay also values. We collaborated with Hwy9 designs in the fall with the launch of Boundary’s new motto BE[ER] LOCAL – a slogan hinting at the importance of purchasing local, and promoting local craft brewing. With fresh designs and a new look in mind, we’re excited about working with Hywy 9! 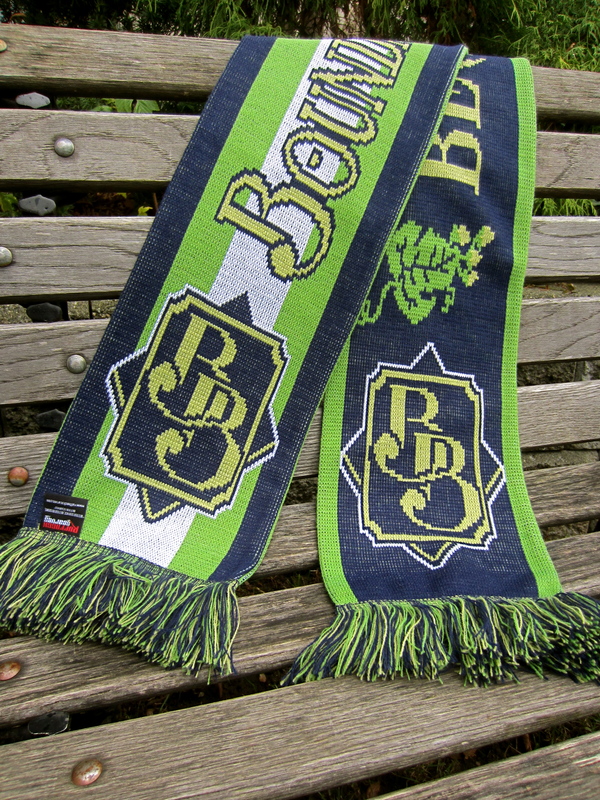 Hand-knitted scarves are one of the hot new items included in Boundary’s merch line. Produced by Ruffneck Scarves in Seattle, we introduced a custom Boundary hop-themed scarf (which conveniently happens to be Sounders colors). Ruffneck produces a superior scarf sewn by the same materials used for the pros; made from fine jacquard knit and high-quality 100% acrylic, the fabric allows very complex and highly patterned knits (like hops!) to be created. 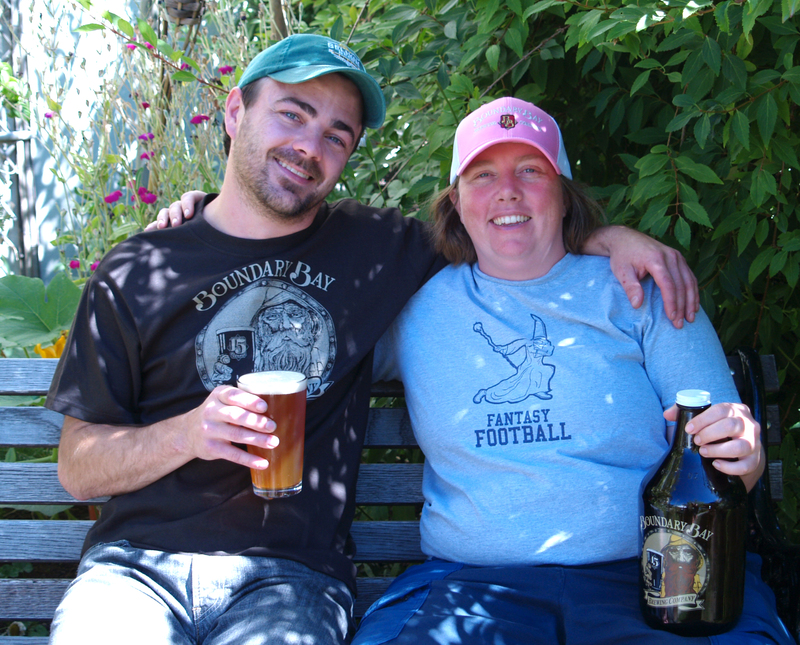 And here’s a fun fact; the founders of the company, Jeff McIntyre and Erin O’Brien, also happen to own our very own local Bellingham United Soccer team! Creating professional quality custom scarves, Ruffneck helped us create a distinct, practical and fashionable product unique to Boundary Bay. Distinctively branding businesses all over the region, Ruffneck scarves has done a tremendous job supporting the local economy with their growing business. Although you cannot wear them, you can sure carry them in style. 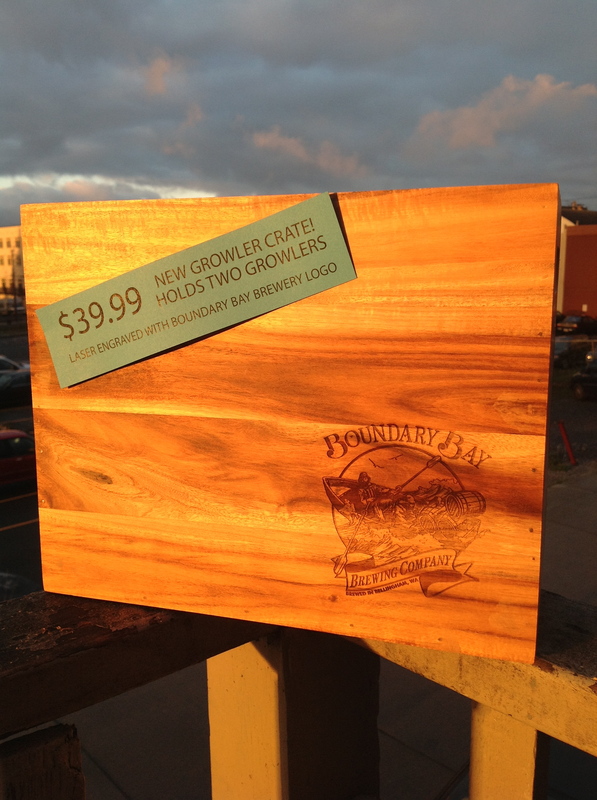 One of the products we’re most excited about presenting, are the custom-made Boundary Bay Growler Crates, laser engraved by the Bellingham High School Engineering Program. The High School’s wood shop was removed in its recent remodel, so funding themselves, the students of the engineering program, lead by director Paul Clement, have been working hard to rebuild access towards the technologies they once had. With each growler crate we sell, a portion of the proceeds goes back into the Engineering Club to support student involvement in engineering. The Growler Crate Project will specifically help these students purchase a 3D printer they’ve been saving up for, so they can learn about the future of rapid prototyping [A group of techniques used to quickly fabricate a scale model of a physical part or assembly using three-D computer aided design (CAD) data]. Boundary is very excited to be collaborating locally with Bellingham students on this project. Director Paul Clement even proposed that we work on more projects with the Engineering Program, suggesting they start performing the laser engraving on the new Hydro Flasks we currently sell. Clement advised they would be able to make a variety of designs, rather than just one – a possibility we were enthusiastic to hear! With propositions brewing daily, we are eager to work with Mr. Clement and this awesome group of talent. “We love working with as many local suppliers and producers as possible,” says General Manager Janet Lightner. Here at Boundary, its important to us to implement whatever projects we can at the community level first. “We measure our success by the connections we build with our community of customers and neighbors who make it possible for us to keep doing what we love.” We are thankful for these awesome local folks who have worked with us to build the Boundary brand, and equally stoked about the future endeavors we’ll take on with them. Cheers! Early this Spring Janet, our General Manager here at Boundary Bay Brewery, approached me about coming up with a 15th Anniversary Design. I let possibilities twirl around in my brain for weeks, but not surprisingly, the project was pushed to the back burner. Late Spring is the busiest time for our in-house design team. Now, you might say, “What, Boundary Bay has it’s own graphic design department?”. I get this response a lot. I also get a fair amount of phone calls from design companies, calling to ask if we outsource any work–thinking that we have an outside company doing this work for us or that we need one. When I reply jokingly, “Are you trying to steal my job?”. There is a moment of backtracking, followed by an exclamation; “You really do all of your design in-house! That’s a lot of work!”. Just to give a working example; one event in the beer garden needs a poster, a POS screen, a mention in several ad spots, to be listed on the website, in a press release, and on Twitter & Facebook; and possibly a banner, blog, table tents, email newsletter, or more. 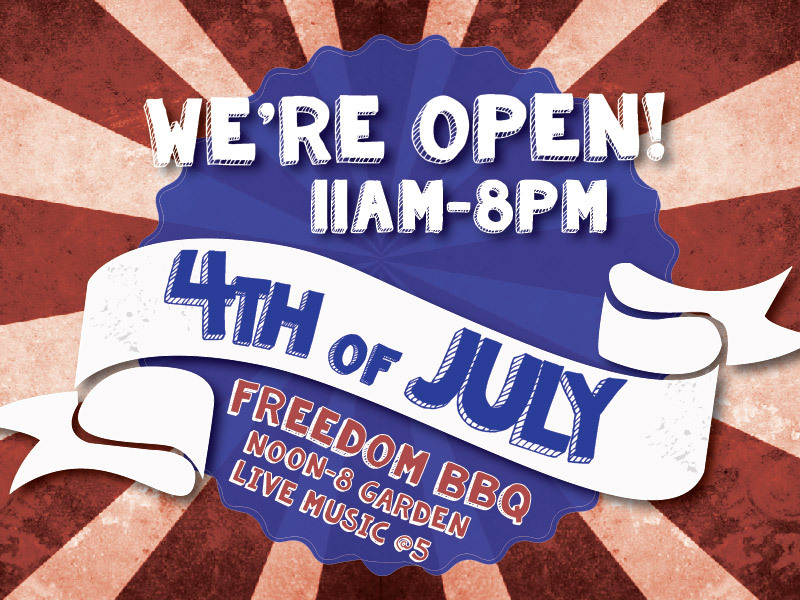 We have at least 6 weekly events at the brewery this summer every week. And sometimes there are several on top of those in just one day. Did I mention earlier that the 15th Anniversary Design got pushed to the back burner? Sometimes, getting started is the hardest part. So I was at a party, and this anniversary thing was starting to weigh heavy on my mind. I started chatting about how I needed a good idea. My buddy Dave started talking about the current Bootlegger design on our Hoodies and the idea that those guys in the boat have been Saving those Ales for a long time. He imagined a grizzled old fishermen, whose beard had grown to a luxurious length over the years. A man of experience and dedication, who is really determined to deliver you that pint of ale. Hence, the Anniversary Logo was born. You can find it on our new Growlers, Hoodies, Tshirts, and Coasters. Hope you enjoy it and thanks for your support these last 15 years.